The engines were typically the best available with a vast array of speed ranges for each model. The scantlings, or dimensions of the planking and framing, were usually thicker or of a better grade than their competitors. Upholstery and castings were done to a higher standard than others of the time. The overall package cost more at the time and might have cost them in overall sales; however most astute speed boat buyers of the day wished they too owned a Gar Wood. 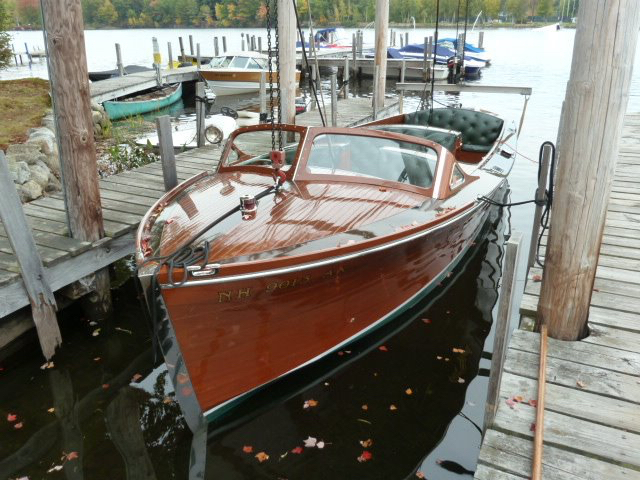 We feel our Gar Wood boat is representing of one of the roomiest, most comfortable, best handling antique motor boats available in the country. 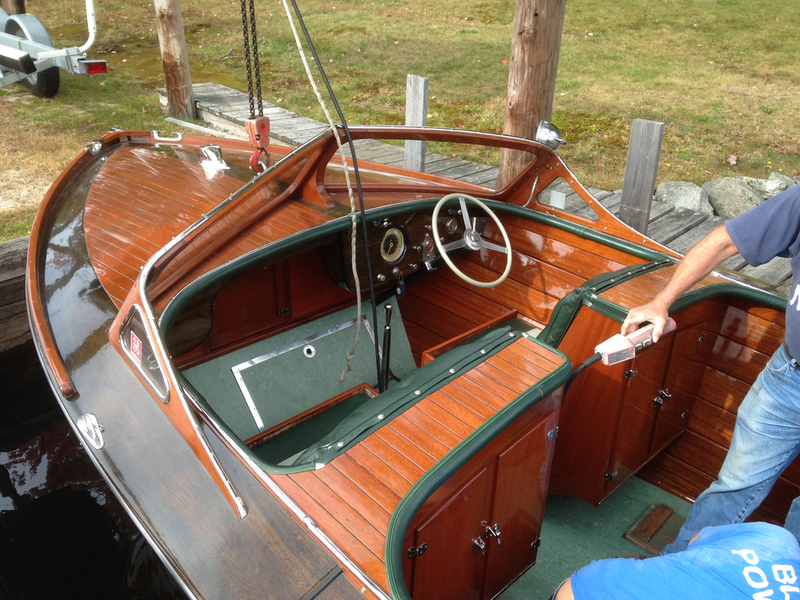 More and more wooden boat enthusiasts are switching from a triple cockpit boat to the more creature comfort utility style boat. $160,000.